The Internal Revenue Service has suspended its system to register tax return preparers with Preparer Tax ID Numbers (PTINs). The announcement follows a District Court ruling that found the IRS had the authority to require PTINs but did not have the right to charge a fee for them. The decision references an earlier court ruling (Loving vs. IRS) that struck down self-imposed statutory powers the IRS had created to regulate tax preparers. The Loving court concluded that the IRS does not have the authority to regulate tax return preparers. Loving, 742 F.3d at 1015. It cannot impose a licensing regime with eligibility requirements on such people as it tried to do in the regulations at issue. Although the IRS may require the use of PTINs, it may not charge fees for PTINs because this would be equivalent to imposing a regulatory licensing scheme and the IRS does not have such regulatory authority. However, the IRS can appeal, notes attorney Dan Alban of the Institute for Justice, which brought the earlier Loving v. IRS case that struck down the IRS authority to regulate tax preparers. See: IRS loses lawsuit over PTIN fees, suspends PTIN system, and may be forced to refund preparers, by Michael Cohn, AccountingToday. “The AICPA continues to support improved ethical standards and enhanced compliance for paid preparers, and has long advocated for Congress to mandate that the IRS enact a testing and continuing education program to address the competency of unregulated, non-credentialed tax return preparers,” the AICPA states. The IRS’ action to completely suspend PTIN registration signals that the agency may scrap the program altogether if the prohibition against charging a PTIN fee is upheld on appeal. This could be problematic for states using the PTIN as a qualifier for preparation of state tax returns. Not surprisingly, the uncertainty of the federal tax preparer registration program was a reason cited by the AICPA for its opposition to the establishment of additional state tax preparer registries. The organization also cited the cost and regulatory burden for tax preparers as well as a presumed limited effect on bad actors. Maryland imposed tax preparer educational requirements similar to the IRS requirements that were overturned in 2013. Individuals wishing to prepare federal and state tax returns for Maryland residents are required to take and pass the Maryland Tax Preparers exam, which costs $65, in order to qualify for registration. In addition to having an IRS-issued PTIN, preparers must complete at least 16 hours of continuing professional education within each two-year registration cycle. 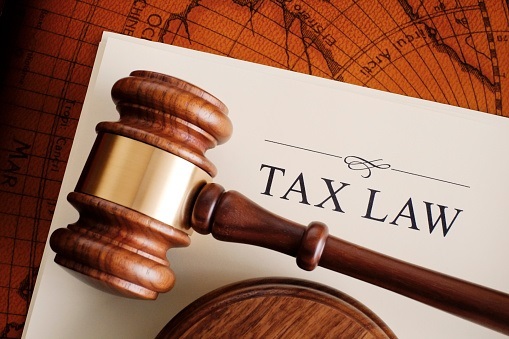 CPAs, EAs, attorneys in good standing, and government employees performing tax return services in conjunction with their official duties are exempt from these requirements. Preparers with 15 years of experience may petition for an examination waiver.